Pretty straight forward. Commitment makes all the difference here. If you manage to substitute at least half the time you spend watching normal TV, then you’ll see some drastic results over time. You can also, of course, watch shows with target language as subtitles, but then you don’t hear the correct pronunciation. Using a service like lang-8, you can write random things and get what you write corrected by native speakers. So not only are you getting practice and memorizing vocabulary and grammar by actively using them, you get corrected when you make mistakes. Sounds almost too good to be true right? Well, it isn’t. And if you’re too self conscious to share right away, you can always start off writing for yourself, and then start sharing on platforms to be corrected later on. Finally, you don't have to do all these things all together, you can try one or two of these for a week and try a different method the following week until you know which one works well for you. We have different types of learning so what may work with Eve, is not always true for Mary. The key is trying. 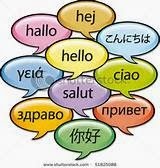 Language learning tips. Learning Cebuano Learning Tagalog Learning Visayan Memorizing Vocabularies.